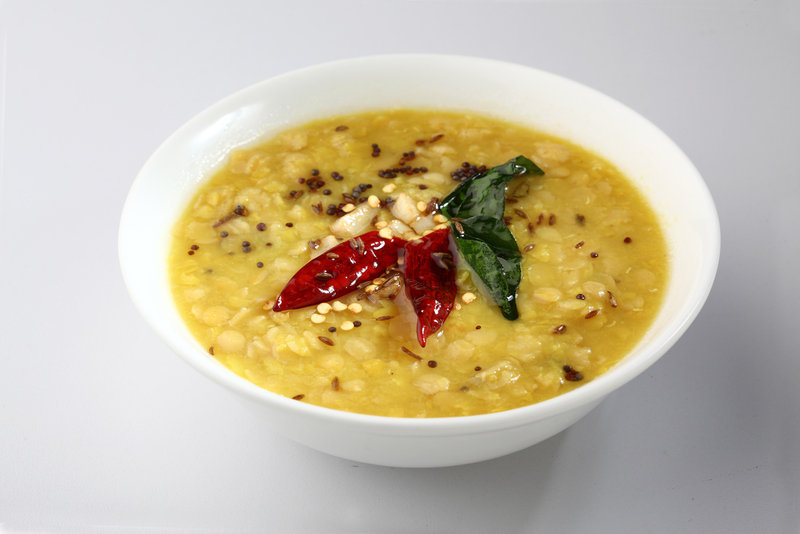 Dahl (dhal, daal or dal) is a term used in the Indian subcontinent to describe dried, split pulses (legumes) i.e. lentils, peas and beans. The term is also used for various soups prepared from a variety of these pulses. Pulses are among the most important staple foods in South Asian countries. They also form an important part of the cuisines of the Indian subcontinent. Dhal is a very nutritious curry and can be mild or the heat increased to suit individual preferences. Place washed lentils and water into a deep pot with the rest of Ingredients A.
Stir well and bring to the boil. Cover the pan with a lid and reduce the heat. Simmer, stirring regularly, for 40-45 minutes or until the lentils are just tender, adding more water if necessary. When the lentils have cooked through, remove the pan from the heat and mash to break down some of the lentils. Set the mixture aside to thicken. Meanwhile, place a small fry pan or wok over a moderate heat. Add Seasoning Ingredients B one at a time, i.e. oil, ghee, mustard and cumin seeds, dry chillies and curry leaves, and fry until fragrant. Next add Seasoning Ingredients C, one at a time and fry for 3 minutes, or until golden brown and soft. Keep aside. Then pour the entire contents of the pan into the cooked dahl mixture. Stir well to combine, season to taste with salt and freshly squeezed lemon juice. Serve garnished with coriander.